Bald eagles, once grounded by pesticide and habitat loss, are soaring to impressive heights in Colorado, and February is prime time to see them in the Fort Collins area. It’s a success story that feels especially relevant as some lawmakers prepare efforts to roll back the Endangered Species Act, which by some accounts helped America’s national symbol return to glory. Colorado Parks and Wildlife estimated in 2015 there were upwards of 125 nesting pairs in Colorado, more than double the 2009 population. Nationwide, the bald eagle population has increased by about 12 percent each year since the early 2000s, and U.S. Fish and Wildlife Service officials expect more growth. 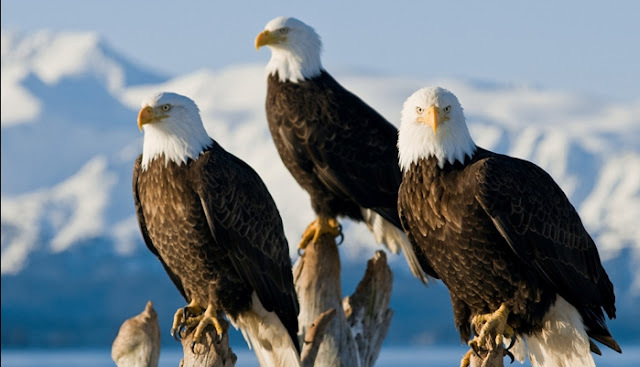 About 143,000 bald eagles live in the U.S. now, according to U.S. Fish and Wildlife Service estimates. 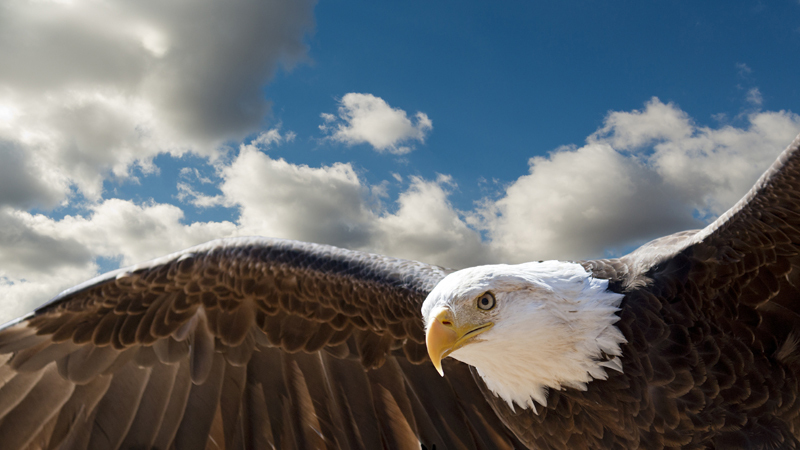 At its low point in the 1960s, there were less than 500 bald eagle nesting pairs nationwide. The bird of prey with its distinctive white head and white tail earned a spot on the endangered and threatened species list throughout most of the United States in 1978 and remained there until 2007. 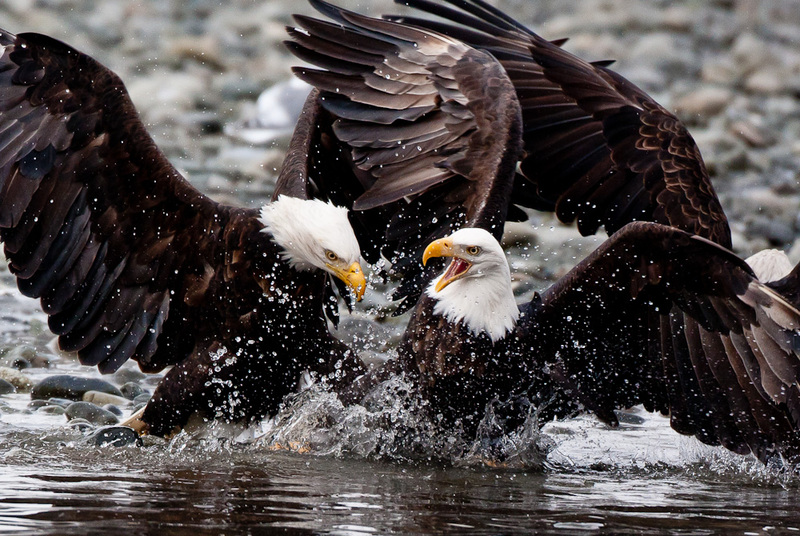 Threats persist for bald eagles. They include habitat encroachment; loss of common prey; wind, oil and gas-powered energy; and harmful chemical compounds used for pest control or crops can all harm bald eagle populations, according to the U.S. Fish and Wildlife Service and Bird Conservancy of the Rockies, which has an office in Fort Collins. Rolling back the Endangered Species Act wouldn’t hurt bald eagles in the short-term but could impact the bird if it’s ever re-listed. And it could impact species that remain on the endangered and threatened list, like the whooping crane and black-footed ferret. Some lawmakers have long argued the Endangered Species Act holds back industries such as drilling and logging. U.S. House Natural Resources Committee Chairman Rob Bishop told the Associated Press this month that he hopes to invalidate the law with the cooperation of other lawmakers. "It has never been used for the rehabilitation of species. It's been used for control of the land," the Utah Republican said. "We've missed the entire purpose of the Endangered Species Act. It has been hijacked." According to the USFWS, which administers the legislation, the purpose of the act is to protect and recover imperiled species and the ecosystems upon which they depend. The National Marine Fisheries Service oversees mainly marine wildlife such as whales and fish such as salmon. Under the ESA, species can be listed as either endangered or threatened. Endangered means a species is in danger of extinction throughout all or a significant portion of its range. Threatened means a species is likely to become endangered within the foreseeable future. So what brought bald eagles back from the brink of extinction? A few things, according to USFWS wildlife biologist Kevin Kritz and Bird Conservancy of the Rockies citizen science biologist Matt Smith. Both cited banning DDT as a major factor. The famed pesticide of Rachel Carson’s “Silent Spring,” was part of it. DDT, used to control mosquitoes and other insects after World War II, sent waves of poisonous residue into waterways, contaminating fish upon which the bald eagles dined. Another stride for bald eagles was the passage of the Bald Eagle Protection Act – later the Bald and Golden Eagle Protection Act – in 1940. The act outlawed the killing of bald eagles without a permit and helped reverse previous thinking of bald eagles as harmful predators of game and livestock, Smith said. 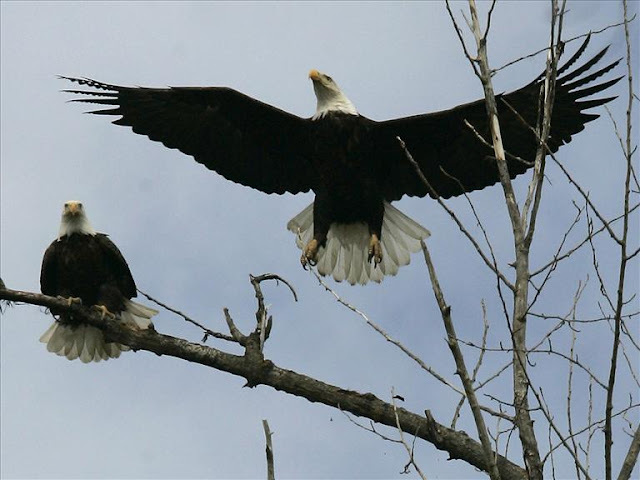 Restoration of forest land and wetlands also helped bald eagles thrive. So did endangered species listing, which gave bald eagles additional advantages because the act bans federal agencies from authorizing or funding anything that might threaten listed species. The law also bans any action that results in a "taking" of any listed species. Responses to "Once-endangered bald eagles now soaring in Colorado"